Conquer the top search engines and display advertising platforms through targeted, conversion-oriented campaigns that increase awareness. PPC Marketing entails the implementation of a Cost per Click (CPC) model, through biding for keywords and banner ad placements. The advantage of PPC campaigns pertain to the generation of immediate results, while at the same time enabling geo specific targeting and messaging. The successful management of PPC campaigns requires not only experience, but attention to detail as well. Little regular attention and poor post set-up management of such campaigns offer leads to increased costs and poor results. No matter how well a campaign is initially designed, poor follow up is doomed to render it ineffective. Although often companies rely on management tools to help with bid management, this is not enough because bid price is not the most important factor within PPC management. Instead, an effective PPC campaign requires the constant, hands-on, review other parameters, such as ad copies and landing pages. Moreover, since paid services like PPC are a valued source of revenue for providers like Google, you need to stay aware and take advantage of the array of tools, options and features that such providers put at your disposal in order to capitalize on every opportunity offered. Give your brand instant exposure. 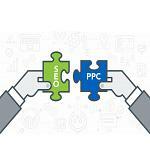 For expert PPC Managment that will help you stand out from the crowds. Our resident experts are here to help to either improve on or optimize your existing PPC efforts or help devise completely new campaigns on your behalf, enabling you to get the best possible results within your available budget margins. We can provide hands-on assistance and guidance, through performing the necessary analyses and research, reviewing the effectiveness of existing campaigns, creating new ads and organising the biding process. For each new client and for each new project we are assigned, we devise a tailor-made PPC strategy to make sure the desired outcomes are achieved. Whether a specific, tactical paid ad campaign, or a more long –term ongoing campaign, all the campaigns we design are strictly performance driven and aim at the highest possible Return on Ad Spend (ROAS). Campaign structure is of vital importance in the overall PPC Campaign strategy and due care is given to properly structuring each campaign. Moreover, in order to be as comprehensive and integrative as possible, multiple concurrent campaigns can be setup based on keyword types, geo markets and targeting various customer segments and promotions. We can work through all available paid marketing channels and platforms such as Google, Bing, Yahoo, Baidu and others, while ensuring that each campaign is run on the most appropriate medium or a combination thereof, such as Search, RLSA, Display, Display DRM, Re-targeting, Programmatic Media buying etc, to ensure the best results are achieved in a cost effective manner. We want you to be fully aware of the progress and effective of each campaign we run on your behalf and thus provide weekly and monthly reports, by several parameters, such as per channel, per medium and per geo market, including in-depth analysis and identification of trends. 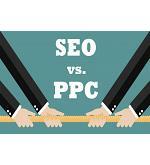 Our PPC service includes much more than just managing AdWords. It encompasses all the networks you would expect, from paid search to paid social. Whatever type of campaign yields the best ROI; from shopping to remarketing, from Gmail to YouTube.